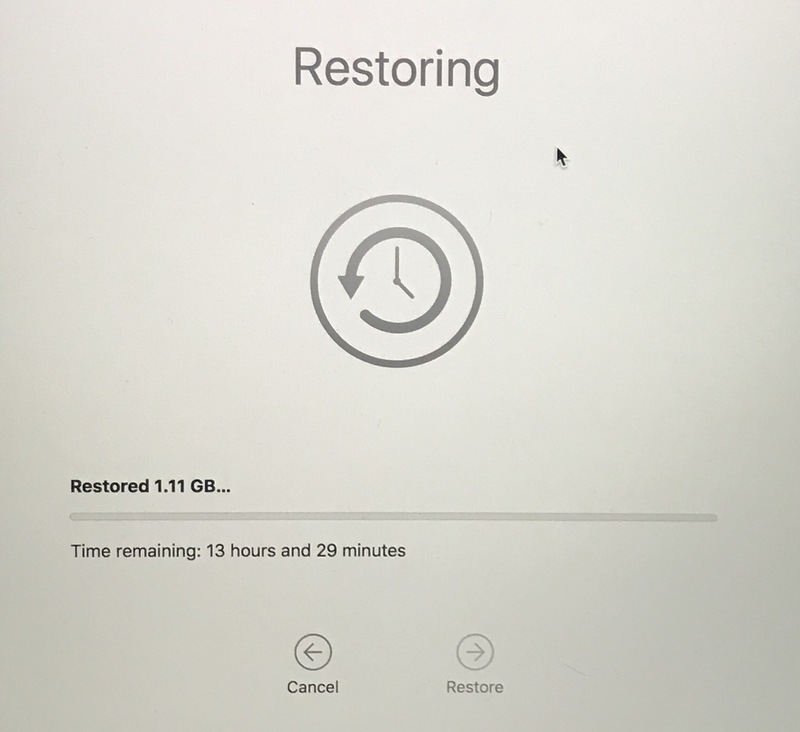 I had a nightmare restoring from a Time Capsule backup. Eventually I found a little-documented solution. – I was unable to restore from a Time Machine backup. 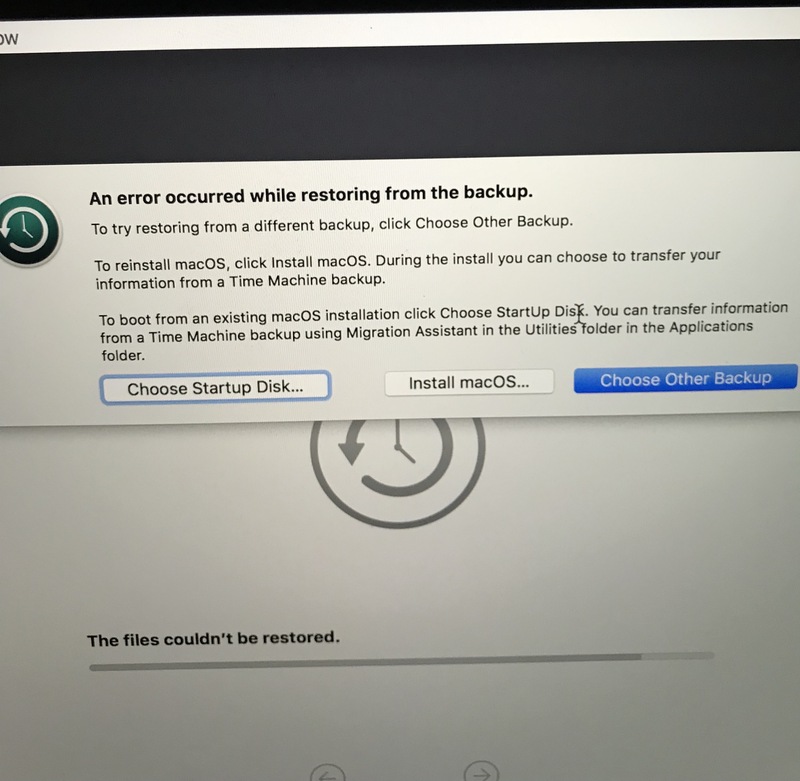 Error: “An error occurred while restoring from the backup.” I found next to nothing online to solve this problem. 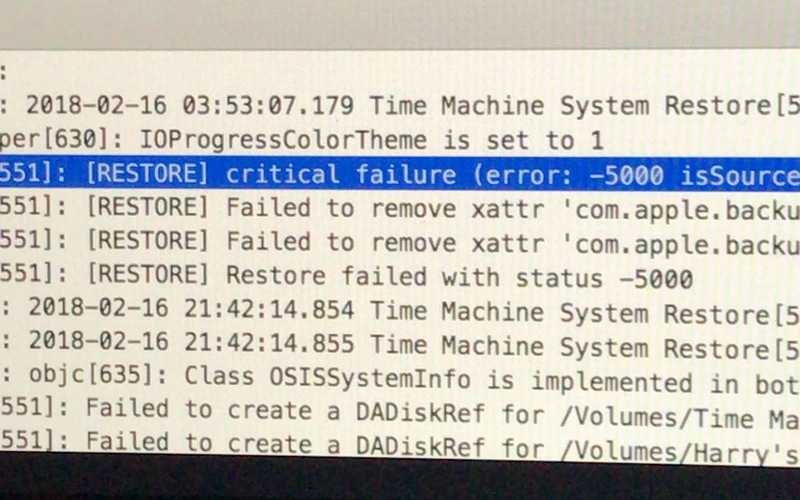 – The error log showed a “[RESTORE] critical failure (error: -5000…” for which there is no support online. 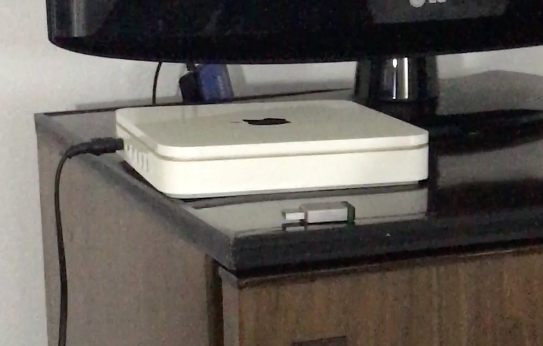 – The problem affected Time Machine backups on both a USB drive and an Apple Time Capsule. – The solution is to identify the corrupted files in question and quarantine them before manually restoring them. – On Time Capsule backups, this solution is more complicated because of how the backups are saved and how difficult it is to edit them. I was trying to restore my machine from a Time Machine backup to a new laptop in recovery mode. In my case, the file or folder that I later found out was corrupted was a Mac App Store receipt folder for an application called “WiFi Signal”. It later turned out that this app would always (at least on my system) produce a corrupt “_MASReceipt/receipt” folder. My final solution was to completely delete the app and find an alternative so that my fresh Time Machine backups don’t get corrupted from this dodgy folder. I wasn’t able to take another backup from my old machine. I had to fix the Time Machine backup to restore my system. Editing the Time Machine backup to remove the dodgy folder was difficult. 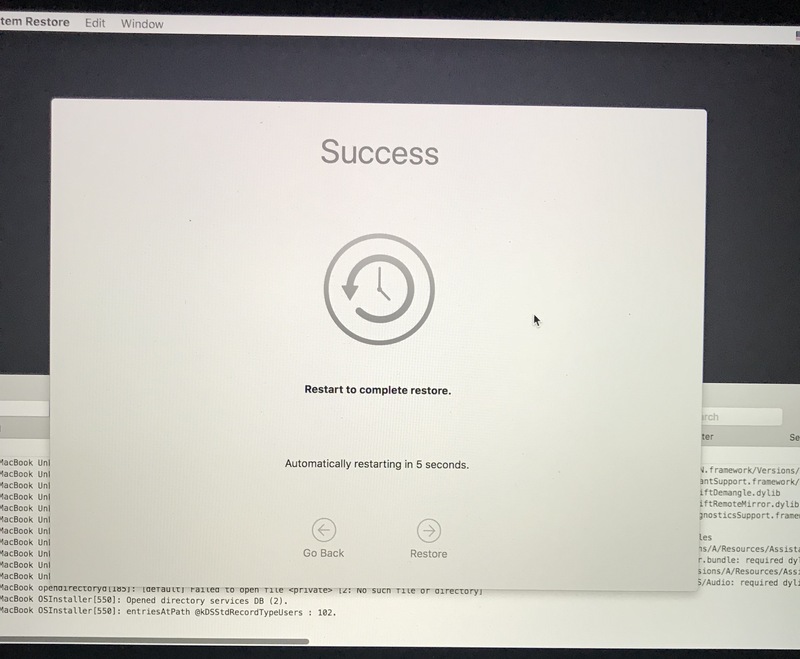 (1) Initially I needed a Finder and Terminal window so I had to setup the new Mac as new with no user data so I could fully access the Time Machine backup to apply the fix. Then I connected the backup to the Mac. First we escalate our privileges. Then we mount the Time Capsule ‘sparse bundle’ as if it is a disk. I took a backup of the folder I was deleting and put it on a USB thumb drive. This command uses a Time Capsule ‘Safety Net’ feature that lets us ‘bypass’ restrictions and ‘remove’ (rm) the problematic folder. 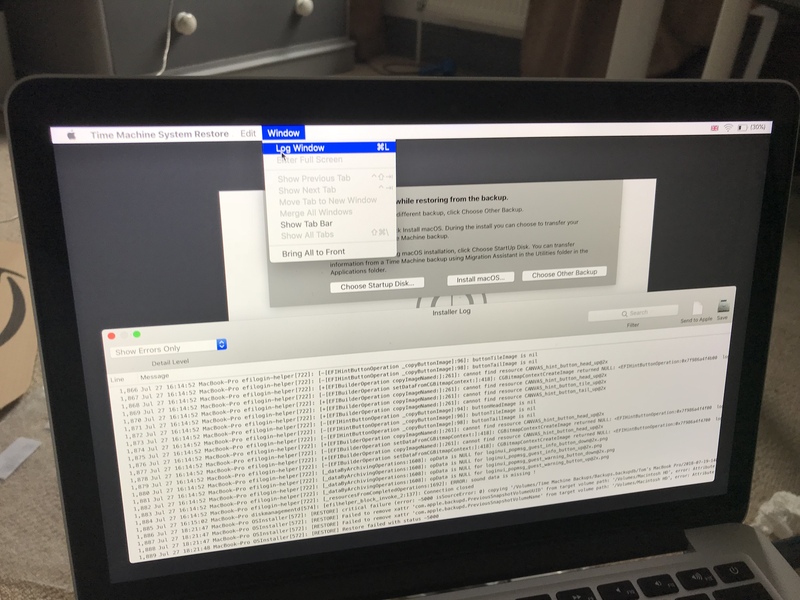 In cases where you receive error “Operation not permitted” on trying the above command in Terminal on MacOS, please try running the same command (without sudo at the beginning) in MacOS Recovery Mode instead and use the Terminal app there. (4) Then go back into Recovery mode on the Mac and reattempt to restore from the modified backup. Let me know if it doesn’t work.